Businesses of all types must maintain records containing personal information about their employees and customers, and executives and clients alike have a mutual interest in protecting that data. But there’s no guarantee that every employee will treat confidential account numbers, Social Security numbers, passport numbers or other personal data with the same amount of care. So how can we prevent this sensitive data from getting into the wrong hands? 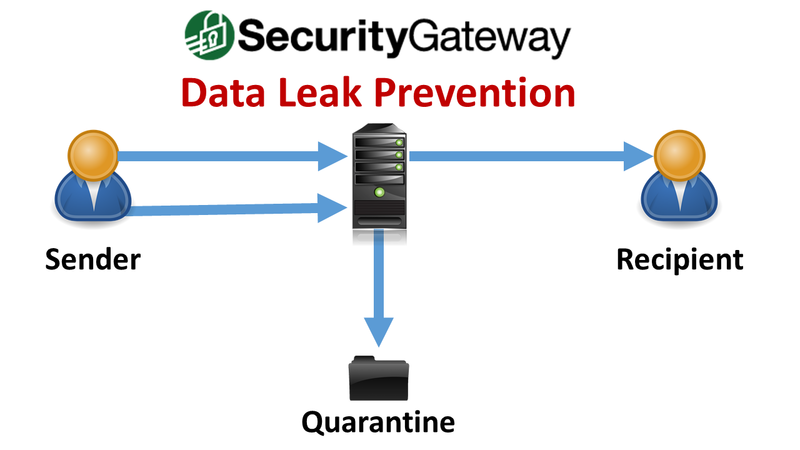 We’ll show you how and give you a sneak preview of upcoming new data leak prevention rules in our latest Security Gateway video! Click here for a detailed explanation of all DLP features. If you’re not yet a Security Gateway user and would like to try it out, click here for a free trial. Comments or questions? Let us know! In the early to mid nineties, our founder and CEO Arvel Hathcock recognized the need for a less expensive, easier to manage alternative to Microsoft Exchange Server for small-to-medium businesses. With solid programming skills and an entrepreneurial spirit, he created the MDaemon Email Server and launched Alt-N Technologies. Through word of mouth among IT professionals and with the help of great channel partners, the popularity of MDaemon spread to customers across the globe. Over the years and in various geographies, the product name became more recognized than Alt-N Technologies. To better leverage the name recognition that had been built over the many years of MDaemon email server popularity, the company was renamed to MDaemon Technologies in January of 2018. From the introduction of Webmail in 1997 and instant messaging in 2001, to support for third-party XMPP chat clients in 2016, MDaemon has helped improved communication for businesses in over 90 countries. Alongside these communication features came enhancements in security. IP Shielding, which is used to help prevent spoofing by blocking messages from unauthorized IP addresses, was introduced in 1996 before MDaemon even had version numbers (for some great historical information, check out the Ancient-History.txt file located inside the MDaemon/Docs directory). Relay control was added the following year, with many new security features added with each new release. In 2005, MDaemon became the first Windows-based email server to offer DKIM (Domainkeys Identified Mail) as a new tool in the fight against spoofing. And to address the growing need to protect confidential data and meet growing regulations in health care, finance, and other industries, email encryption with OpenPGP was added in 2015. MDaemon’s collaboration tools have evolved over the years as well. Instant messaging was added in 2001, followed by shared calendars and groupware in 2002 and 2003. Scheduling meetings with multiple attendees was made easier by the addition of free/busy in 2006. As business communication needs evolve, so does MDaemon, with new features on the way for 2019. If you’d like to be among the first to benefit, follow us on twitter for the latest news & product updates. Here’s to an exciting and productive 2019!